Yes, we don’t have autumn in my country and yes, we also don’t celebrate halloween here. But that doesn’t mean I couldn’t join in on the euphoria, am I? Especially since sweater weather is my favorite type of weather. Hello baby grim reaper! 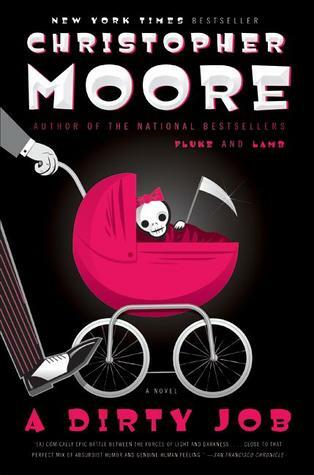 A Dirty Job by Christopher Moore tells the story of Charlie, who has the most normal life until he became the new Death. As in, the grim reaper. 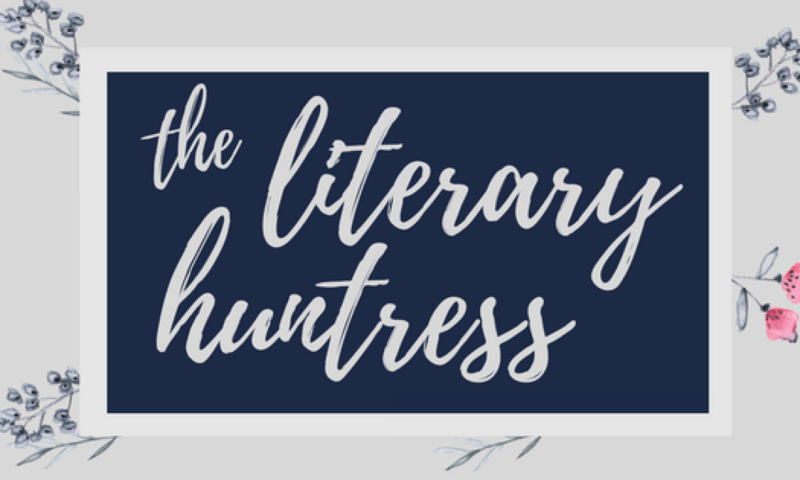 I had this book on my tbr, removed it, and recently added it again because it just sounds too much fun to pass on! As the book say, it’s a dirty job but somebody’s got to do it. 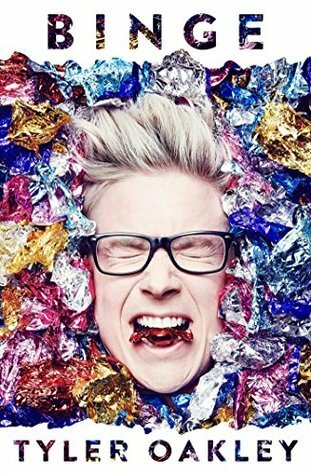 Tbh I couldn’t find any books on my tbr that has pumpkin on its cover… and none of YA books. So I just search “pumpkin” on goodreads and use the ones that attracted me the most. 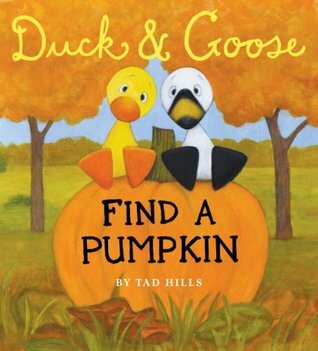 I love the cover for Duck and Goose Find A Pumpkin and they sound lovely too! Yes, I love children’s books. Shhhh. When I was a kid, I used to be obsessed with the Lizzie Borden story. Especially the lullaby, it still creeps me out! 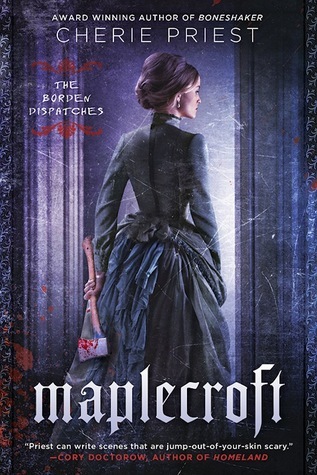 Maplecroft is a retelling of the Lizzie Borden story, there aren’t much blood on that ask, but you know it’s there and their backstory, which makes it creepier for me. 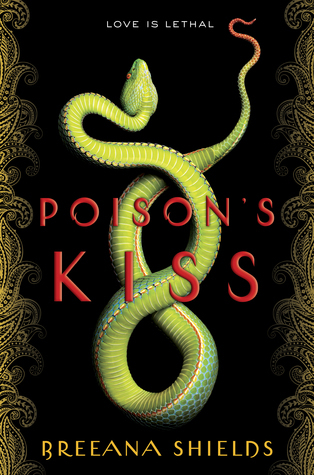 Poison’s Kiss by Breeana Shields sounds like a perfect book for me because a) I love mythology b) Especially indian mythology, they are always very complex and visual and c) it’s the story I know about. However, that snake on the cover really creeps me out because I’m terrified of them, even seeing that cover in its full size in order to look for this cover scares me. The Merciless by Danielle Vega. It doesn’t get any more witchy than a pentagram, right? 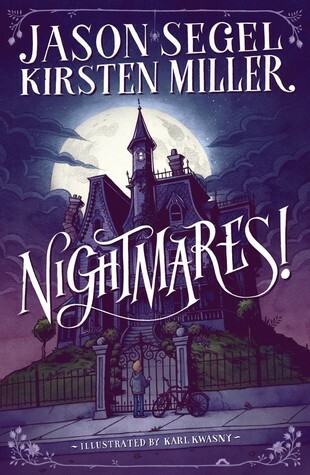 I’m currently reading this book after 3 months of it being on my halloween tbr!!! 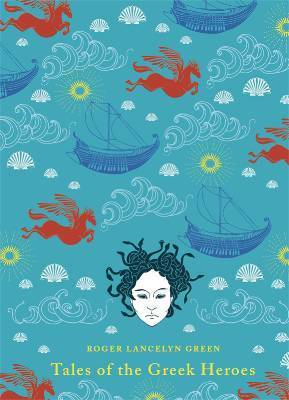 This cover of Tales of the Greek Heroes has the most famous severed body part, which is the Medusa’s head. 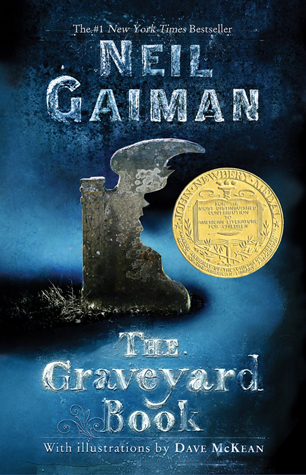 The Graveyard Book may be one of Neil Gaiman’s finest, but the cover is one of the worst between all of his books! I almost buy Nightmares during a book sale, but I ended up bought another book. Hopefully it will still available next year! 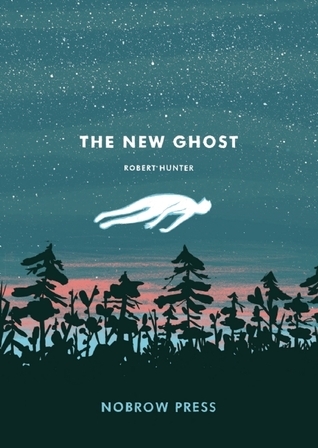 The New Ghost is a graphic novel I’ve been eyeing for a while. It looks like a quiet and beautiful book, I wish more people are talking about it! 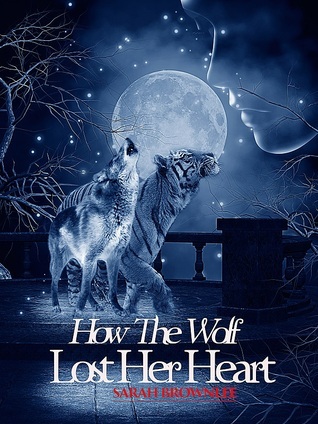 I don’t really read much about werewolves in general because they tend to lose the popularity contest against their vampire counterparts, as in they tend to be portrayed in a bad light or losing the girl. 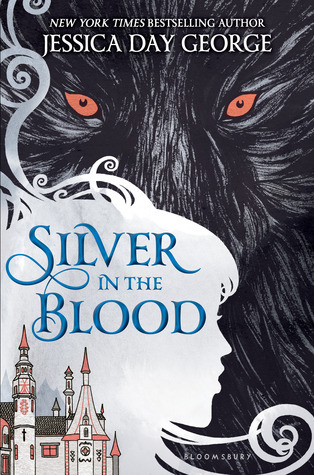 Silver in the Blood sounds really interesting with its historical setting though! Another grim reaper! I wish there are more of them in YA, I love it when a book has death personified. 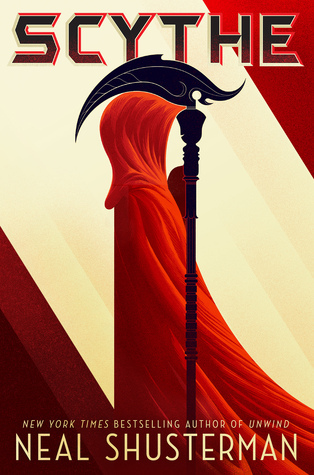 Scythe is a dystopian though, a genre I haven’t visited for a while so we’ll see. 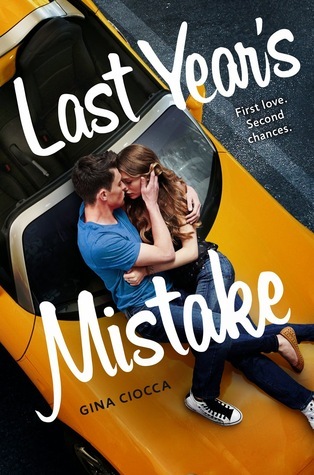 Another not-halloween related cover, but Last Year’s Mistake has one of my favorite trope, which is friends to lovers! Amy Lukavics books always have creepy covers, but I think Daughters unto Devils takes the cake! I have almost all of this books!XD A dirty Job is one of my fave, I discover Christopher Moore with this book, and he became one of mt fave author! Maplecroft was disappointing for me, as long as Daughter Unto devils. Ooh now I’m getting even more excited to read A Dirty Job! I love that you’re joining in the Halloween fun despite not celebrating it where you live! You found great covers! I especially love the haunted house one. Neil Gaiman’s is the king of whimsical and quirky books! No Halloween?? You should definitely still have your own spooky month! 😀 This is such a fun tag. 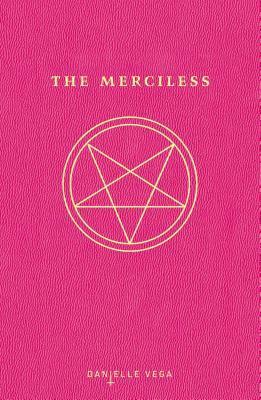 I love the simplicity of the covers for the Merciless series. I’ve been wanting to read Daughters Onto Devils for ages for that creepy cover alone! I miss reading horror gah! !